Twice a year, the HERACLES consortium is gathering to exchange progress and views on the work that has been done during the last 6 months, as well as the next deadlines for the next period. Last 30th May, the last day of the HERACLES 4th Interim Meeting was held by the Faculty of Science and Technology of the New University of Lisbon, PT for the respective event. Several partners of the project were present, and the presentations were finalized to the other partners in person and via the web. This event was coordinated by the partner UNINOVA, which had the full support of the Faculty of Science and Technology of the New University of Lisbon as well as the Services and staff of FCT / NOVA to make it a success. This day ended with a nice lunch, having been this enjoyable and enjoyable meeting days. 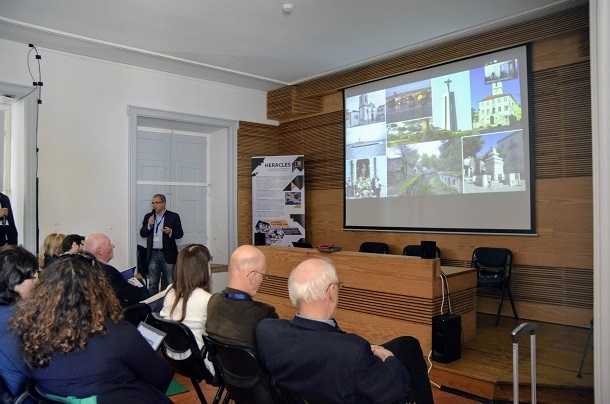 On May 28th took also place the HERACLES Users Workshop at Casa da Cerca - Almada, a space provided by the Municipality of Almada for the event. Several representatives of the Almada City Council were present, directly linked to the patrimony and planning of the territory, who made presentations to all partners of the project.